Although this plot wasn’t an entirely unique one, I did find this book a really intriguing read… and I thought that it was a fairly realistic way of how society could reach that point, considering how obsessed people are with technology nowadays. I thought it was really good to see something of the different types of people in the virtual world and to see something of the different attitudes people had. I would have liked to see more of the secondary characters, but I liked seeing how Skye and Inara differed in their opinions of the virtual world and the boundary being closed. I really didn’t like Inara by the end of the book, though. I would have liked to see more flashbacks to Skye’s mother and sister, though it made sense that she was remembering things through the eyes of a child. I would have liked a bit more detail about how the coding thing worked, but it was interesting to see how the codes worked with protecting the users. 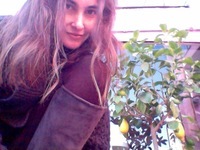 While I did like seeing the contrasts between the virtual world and the real one, I found it hard to connect emotionally with many of the other characters. I was a bit confused about what was going on with Rain… but it was good to get some of the answers to that during the course of the book. I did like seeing something of the history of the real world and when Skye ended up in the real world, I thought it was good that it seemed very surreal at first. I wasn’t really sure whether it had all really happened or not. I didn’t really like the implications of romance in this book and I thought it could have done without that between Skye and Rain. I thought Lacy was an interesting character and it was good to see that she had a bit more depth to her than just being a mean girl… though I didn’t quite trust her by the end of the book. I would be interested in reading the next book/s in this series at some point in the future and finding out what will happen to the characters and in the world. 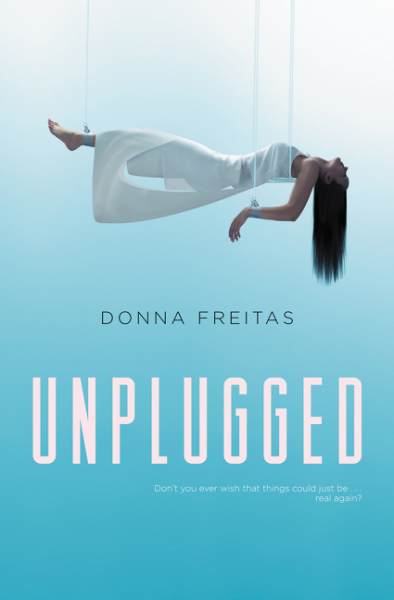 Follow the Unplugged by Donna Freitas Blog Tour and don’t miss anything! Click on the banner to see the tour schedule.